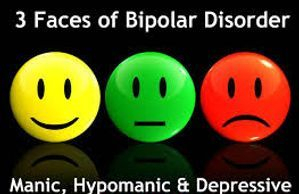 Bipolar disorder or bipolar affective disorder, historically known as manic-depressive disorder or manic depression, is a psychiatric diagnosis. We all experience changes in our mood. Sometimes we feel energetic, full of ideas, or irritable, and other times we feel sad or down. These moods usually don’t last long, and we can go about our daily lives. Medical Cannabis acts on the endocannabinoid system, a homeostatic regulator that is present in all humans. Interestingly, research suggests that certain cannabinoids found in marijuana (i.e. THC and CBD) may have significant mood-stabilizing properties that could be beneficial for patients with the disorder. Undated - Anecdotal ~ Bipolar Disorder and Endometriosis by Anonymous. 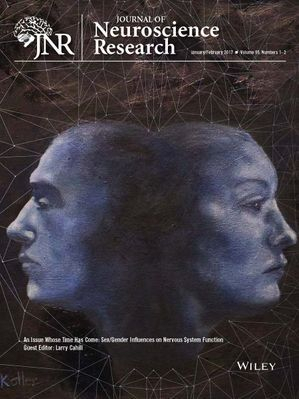 2016 - Study ~ Brain circuitry associated with the development of substance use in bipolar disorder and preliminary evidence for sexual dimorphism in adolescents. USA: Journal of Neuroscience Research. 2016 - Study ~ Pros and cons of medical cannabis use by people with chronic brain disorders. 2016 - Abstact ~ The Effects of Cannabis on Inpatient Agitation, Aggression, and Length of Stay. Country Unknown: Journal of Dual Diagnosis. 2016 - Study ~ Cannabinoid hyperemesis syndrome and the onset of a manic episode. 2016 - Study ~ Cognitive Function in Individuals With Psychosis: Moderation by Adolescent Cannabis Use. 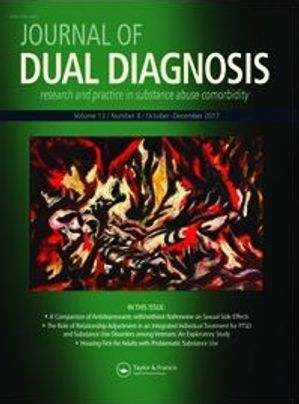 2016 - Study ~ Gender Differences in Associations Between Attention-Deficit/Hyperactivity Disorder and Substance Use Disorder. USA: Journal of the American Academy of Child & Adolescent Psychiatry. 2016 - Abstract ~ Lipids in psychiatric disorders and preventive medicine. Germany: Neuroscience & Biobehavioral Reviews. 2016 - Study ~ Endocannabinoid signaling in social functioning: an RDoC perspective. 2016 - Study ~ Pilot Investigation of the Impact of Bipolar Disorder and Marijuana Use on Cognitive Function and Mood. 2015 - Abstract ~ Endocannabinoids and Mental Disorders. Country Unknown: Handbook of Experimental Pharmacology: Endocannabinoids. 2014 - Study ~ The association between cannabis use and mood disorders: A longitudinal study. Country Unknown: Journal of Affective Disorders. 2014 - Study ~ Is there a role for palmitoylethanolamide in the treatment of depression? 2013 - Study ~ No association of endocannabinoid genes with bipolar disorder or lithium response in a Sardinian sample. 2012 - Study ~ Cognitive and clinical outcomes associated with cannabis use in patients with bipolar disorder. 2011 - Abstract ~ Genetic association between bipolar disorder and 524A>C (Leu133Ile) polymorphism of CNR2 gene, encoding for CB2 cannabinoid receptor. 2009 - Abstract ~ Opposite relationships between cannabis use and neurocognitive functioning in bipolar disorder and schizophrenia. UK: Cambridge University: Psychological Medicine. 2009 - News ~ Medical Marijuana and Bipolar Disorder. 2007 - Abstract ~ The effect of extreme marijuana use on the long-term course of bipolar I illness: a single case study. USA: Journal of Psychoactive Drugs. 2005 - Study ~ Cannabinoids in bipolar affective disorder: a review and discussion of their therapeutic potential. UK: Oxford: Journal of Psychopharmacology. 2005 - News ~ Chemicals in Cannabis may help mentally ill.
1998 - Study ~ The use of cannabis as a mood stabilizer in bipolar disorder: anecdotal evidence and the need for clinical research. Video - Cannabis and Bipolar Disorder: What do we know? What do we still need to learn?